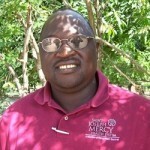 Word has just been received in Winona Lake, Ind., of the death of the outstanding evangelist and church planter from Chad, Africa, Samuel Dadje. The Grace Brethren International Missions board is meetings currently, and details will be released as they are known. Prayer is requested for Dadje’s wife, for the approximately 300 evangelists he has trained, and for the ongoing of the church planting work in the central African countries where he was working. The home-going of this godly and great spiritual leader in the Chad gives testimony to the work Jesus Christ continues to be doing in Africa. My prayers our for his family and that men and women he has trained will be a significant change to this country for the Lord.